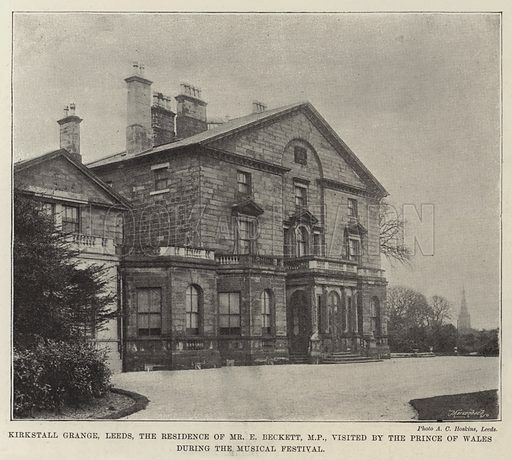 Kirkstall Grange, Leeds, the Residence of Mr E Beckett, MP, visited by the Prince of Wales during the Musical Festival. Illustration for The Illustrated London News, 5 October 1895. Available worldwide for immediate download up to 4,223 x 3,789 pixels.